"This is the best batch of margaritas you'll ever make. Everybody wants the recipe after consuming one of these." 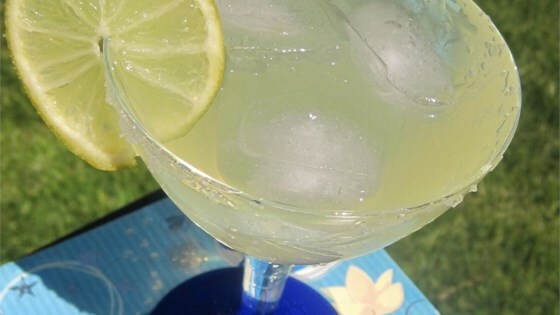 This recipe is very tasty but it's not for the casual margarita drinker. In most bars this drink would come with a two drink maximum disclaimer. These are way too good. A really grown-up version, not for your amateur drinkers. EXCELLENT Margarita mix. I used Sauza Hornitos Tequila that made them VERY smooth. Thank you. It's a hit! These were wonderful, but they are very strong. These are the best Margaritas I have ever had! !